Delhi is always believed to be one of the oldest settlements in the world and was a significant part of the epic Mahabharata thousands of year ago. Hence, you can find innumerable places within its extending boundaries which certainly reflect the history of India. It is also the place from where several dynasties ruled India. So, when Delhi is such an important landmark in Indian history, how can one forget to explore it completely? Yes, there are still several places of historical significance in Delhi which are far away from the eyes of common tourists and are only popular amongst locals. Qila Rai Pithora is one of these forgotten beauties from the past. How about planning a trip to Delhi now and fathoming the greatness and glory of Qila Rai Pithora? Located in Delhi, the region in and around Qila Rai Pithora experiences an extreme type of climate and hence, summers are hot and winters are cold here. However, being a historical monument, it remains a tourist spot throughout the year for history lovers and offbeat travellers. If you desire to explore the beauty of this fort in a cool environment, then the best time to visit is from October until the end of March. Qila Rai Pithora was a fortified city and is currently located in the capital city of Delhi. It is said to have been built by Chauhan King Prithviraj Chauhan, one of the prominent rulers of all time, in the 12th century. As per records, Qila Rai Pithora is the extension of Lal Kot, the first-ever city of Delhi, which was built by Tomar kings in the 8th century. However, later on when Qutb al-Din Aibak defeated Prithviraj Chauhan, the fort went under the control of Mamluk dynasty. Since then, it has been standing with the same structure and setting. Today, it is visited by several local tourists and is under the care of the Archaeological Survey of India. If you love learning in detail about the history of India and exploring its hidden corners, then Qila Rai Pithora is your destination this season. Located in the capital city of Delhi, Qila Rai Pithora is easily accessible by road, rail and air. As Delhi is well connected to all major cities by all modes of transport, you can easily reach your destination. You can either take a direct flight or direct train to Delhi and then from there you can hire a cab to Qila Rai Pithora. With a good network of roads, Delhi is also approachable by car or bus. As Qila Rai Pithora is located in Delhi, you also have the opportunity of visiting famous monuments of Delhi which remain crowded with tourists throughout the year. Once you have entirely scrutinised the beauty of Qila Rai Pithora, you can explore beyond its boundaries and visit other landmarks, such as Lotus Temple, Red Fort, Qutub Minar, Jama Masjid, Akshardham Temple, Lodhi Gardens and India Gate. 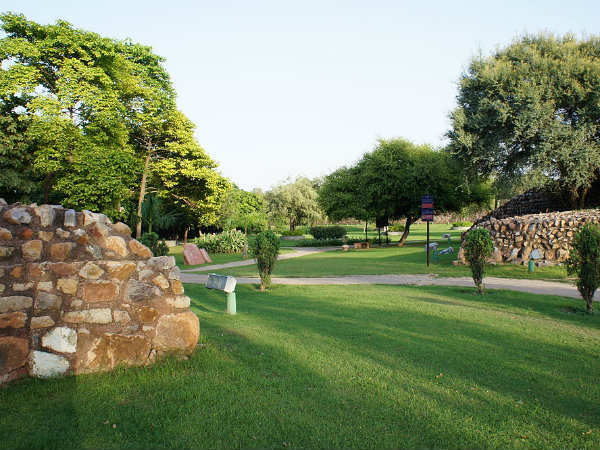 Wouldn't a trip to Qila Rai Pithora make for a beautiful weekend? So, hurry up and plan a tour of Delhi now.